Jonah is a senior lecturer in the math department at the University of Washington. He earned his Ph.D. in mathematics at Brandeis University in 2013 after studying at Carleton College. His research is focused on enumerative graph theory and permutation patterns, but he's also pretty into the mathematics of games and elections. He was a student of the MathILy director at the Hampshire College Summer Studies in Mathematics in 2002 and 2003, before which he thought math was only kind of okay. (He has since changed his mind.) Jonah has taught at various Math Circles for the last decade, and directed and taught at MathILy-Ers 2015--2018. He knows all the digits of 22/7. Alice is a postdoc at Rutgers University. Her main mathematical interest is group theory, and her favorite kind of groups are reflection groups. She has assisted in several inquiry-based learning college classes, has presented at the Austin Math Circle, has worked with the University of Chicago Young Scholars Program, and was an Apprentice Instructor at MathILy-Er 2015 as well as a Lead Instructor at MathILy-Ers 2016--2018. Nate is a player of board games, an eater of sandwiches, and a taker of naps. He is an avid fan of tacos, Batman, and hot sauce. He has run with the bulls, jumped out of an airplane, and has spent many, many hours pretending to be a wizard. He also does math sometimes, and he just finished his Ph.D. at MIT allegedly studying representation theory. 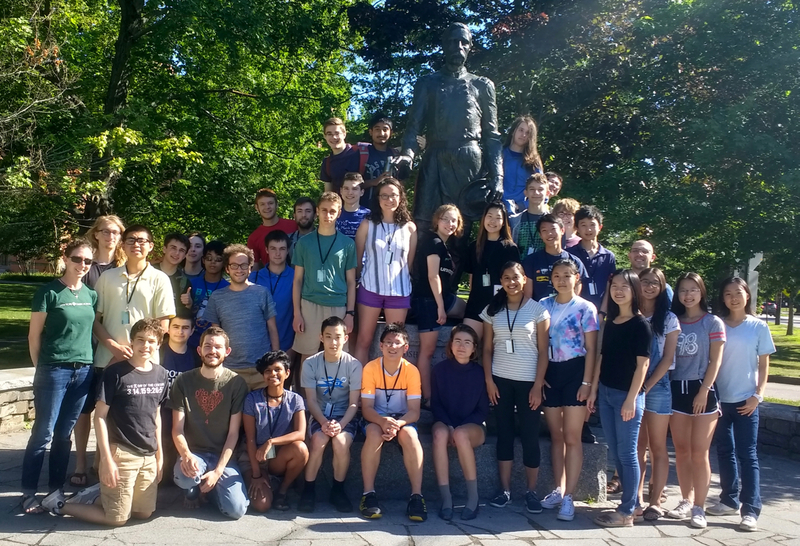 In previous summers he has taught at both MathILy and MathILy-Er, as well as at the UMass Amherst Mathematics Triple, the Hampshire College Summer Studies in Mathematics, and the Research Science Institute. Noah Forman is a postdoc in math at the University of Washington. He has a B.A. in math and physics from Oberlin and a math Ph.D. from UC Berkeley, and was previously a postdoc at Hogwarts. Er... we mean Oxford. He studies random trees and has been maligned as a "West Coast coin flipper." He thoroughly enjoyed visiting and giving a talk at MathILy-Er in 2017, and looks forward to spending more time at the program this summer! Lucas is a fifth year graduate student in mathematics at the University of Washington. His research is in the area of algebraic geometry, in particular computer vision and moduli problems. 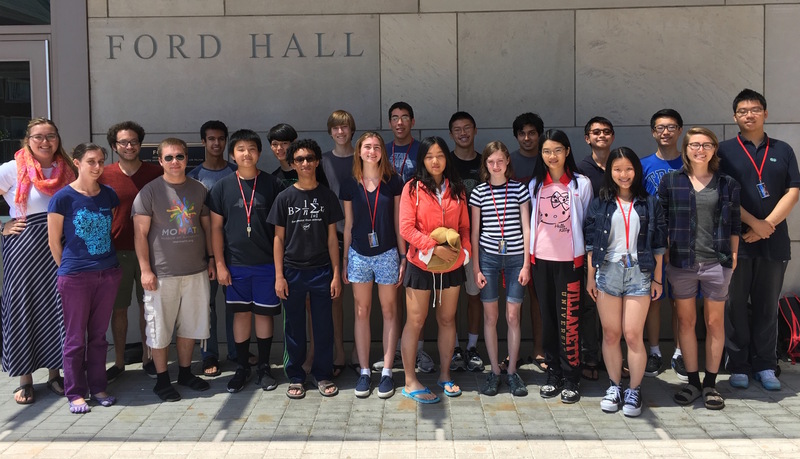 Lucas leads the second year math circle at UW and has mentored undergraduates in the Washington Experimental Mathematics Lab; he taught at MathILy-Ers 2017 and 2018. Ari graduated with a BA in mathematics from the University of Washington in 2017 and is in a postbaccalaureate mathematics program while applying to graduate schools. She is most interested in probability, group theory, and social choice. Between high school and college, she served in AmeriCorps as a math tutor. She now does research in UW's history department. She was the PRiME in the 2016 and 2017 instances of MathILy-Er and an AI at MathILy-Er 2018. Cathy is a postdoc at the University of Bristol after finishing her Ph.D. at the University of Oregon. Her research focuses primarily on congruences between modular forms and arithmetic statistics, both areas of algebraic number theory. Cathy was very active in the Association for Women in Mathematics at UO and supervised several undergraduate projects related to group theory and number theory as part of the AWM Undergraduate Reading Program. While she (sadly) never attended a summer math program as a student, Cathy is excited to teach at MathILy-Er 2018. Evan is a third year transfer student at UC Santa Cruz, where he studies all the pure math he can get his hands on. Some of his favorite things include: singing, coffee, his letter/number color synesthesia, and watching his little brother perform in band competitions. This quarter he's gonna see if he can't learn some algebraic geometry, as well as try to go to bed earlier (one could debate which is harder---the uninterrupted hours that span 10pm to 4am are a hard-to-resist time for mathematics...). Aside from just learning mathematics, Evan's real mission in life is to share that math with other people (i.e. be what they call a teacher). Trust us: this kid really looks forward to meeting you all this summer. Hannah is a second year graduate student at the University of Texas at Austin. She is interested in knots and 3-manifolds. Hannah was a counselor at PROMYS in 2015 and has supervised independent studies by undergraduates through the Directed Reading Program at UT since 2016. Kate will be a senior this upcoming fall at Carnegie Mellon University, in Pittsburgh, PA, where she studies mathematics. She's most interested in geometry, but also enjoys combinatorics and graph theory. Last fall, she studied abroad with the Budapest Semesters in Mathematics program. She loves to travel, scuba dive, and sing with her beloved a cappella group, The Treblemakers. Michael is entering his senior year at Lewis & Clark College in Portland. He is a math major, computer science minor. He's most interested in algebraic number theory, and thinks combinatorics is pretty cool, too. His favorite math problem is the Collatz problem. Michael has been involved in various summer camps every year since he was six years old. When he isn't doing math, Michael's usually playing board games or watching The Walking Dead. Pavani ("Pavi") will be graduating this May from the University of Maryland with a BS in Mathematics and a minor in Physics. She spent her childhood in Sri Lanka, where she participated in national and international math competitions. As an undergraduate, she fell in love with Combinatorics and Number Theory. Outside of mathematics, Pavi loves animals, surfing and travelling. Ashley is a mathematics major and part of the Honors College at the University of Arizona. She is excited about tabletop (and other) games and historical embroidery and weaving.